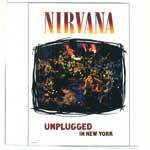 also included in a japanese reissue of unplugged in new york, released in 2009.
notes custom printed dvd-r and paper inlays, clear plastic sleeve. compressed for purposes of review only. notes red info sticker on front, obi. notes titled "unplugged w/the meat puppets", includes only two songs: "plateau" and "lake of fire".